I really enjoy the challenges that all aspects of dentistry provide. 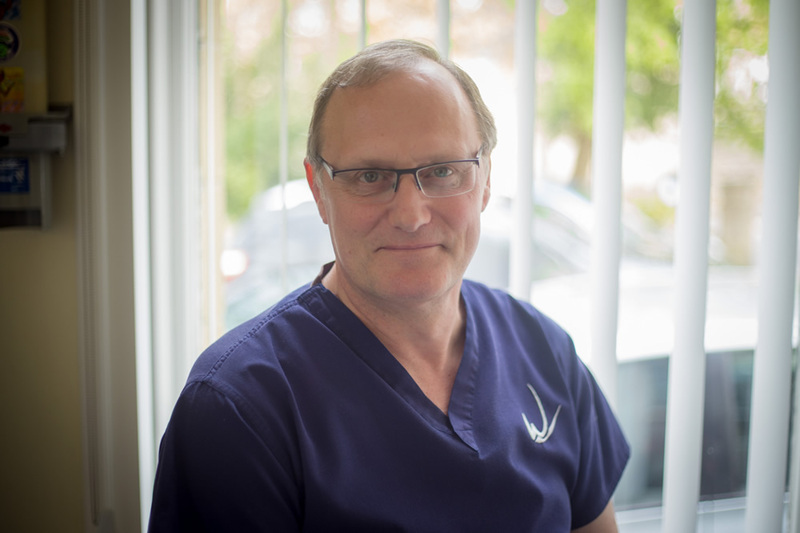 There have been many changes in dental care since I qualified from The Royal London Hospital in 1978. Some of these changes have been considerable, and most, positive. I believe dentistry is a worthwhile profession that people really appreciate even when not enjoying it much! Modern no-fuss dentistry is a very satisfying job. Taking part in a variety of sport has been a large part of my life with water-polo being my main interest. I have been a keen player since I was 11 years old, with a career peak of playing with The British Universities Team. I volunteered for the London 2012 Olympic Games and was given a specific role, which was one of three emergency 'field of play' dentists for the water polo competition. I am very proud of my purple shirt!